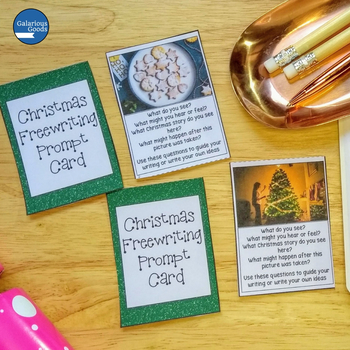 Engage your writing students with trees, lights and cookies this Christmas! 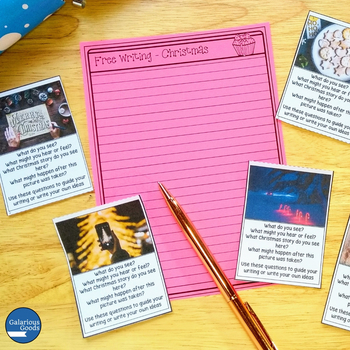 These freewriting picture prompt cards allow students to choose a Christmas themed card, before writing as much as they can within a time limit. 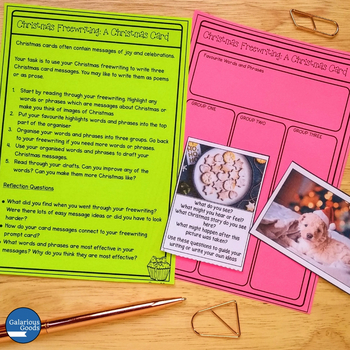 These 20 cards, presented in three different versions are accompanied by writing paper and a follow-up word exploration activity. Perfect for writer's workshop or writing centres or for a creative writing exploration! 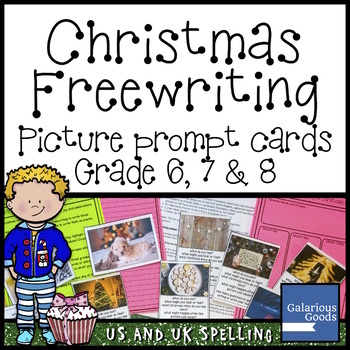 Looking for more Freewriting Cards? Try this seasonal bundle or this scenery set! This resource is available as a PDF file, 32 pages long. Be the first to know about new Galarious Goods products by becoming a follower!